Signed by famous maker, "Baker," for their Historic Charleston Collection, this classic dining table has two carved solid mahogany "birdcage" pedestals. 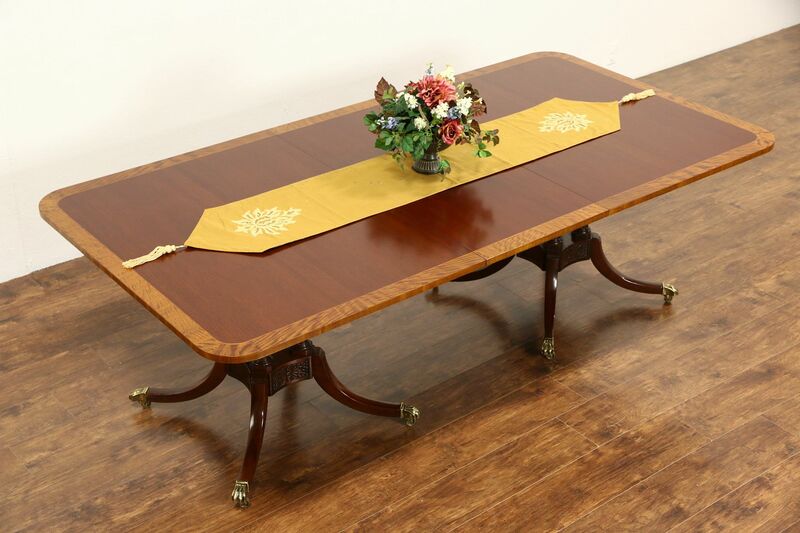 The top is mahogany with shimmering satinwood banding and a gleaming restored finish. One original leaf is 20" wide on this American made furniture from about 15 years ago. Dimensions are 46" wide, 29" tall and 70" long when closed, with the leaf in place, length is 90" overall.